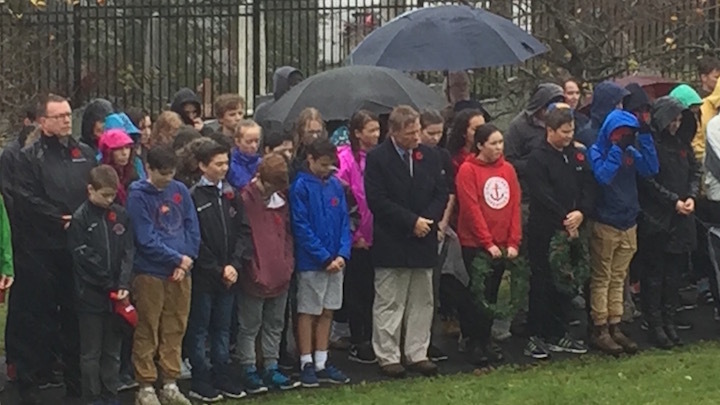 Gorsebrook Junior High School students made their way to Fort Massey Cemetery for the No Stone Left Alone remembrance ceremony on Friday. This is the school’s third year taking part. “Even though we won’t fully know what they felt or what their families felt, being here and just seeing all of this helps with it,” said Jenna Lee, a Grade 9 student. The No Stone Left Alone Memorial Foundation launched in 2011 as a non-profit organization in Edmonton. 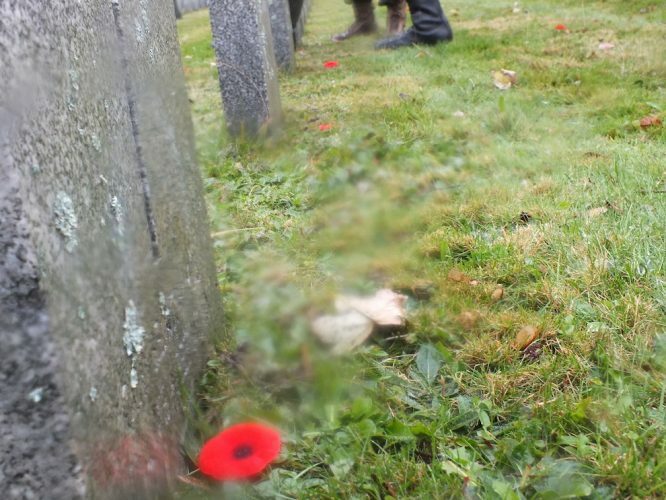 Its goal is to honour fallen soldiers by placing a poppy in front of every soldier’s headstone. The ceremony takes place in different cities all over Canada. This year 8,001 students participated from all over Canada and 100 cemeteries were visited. Lee thinks it’s important to show respect and gratitude to these veterans. 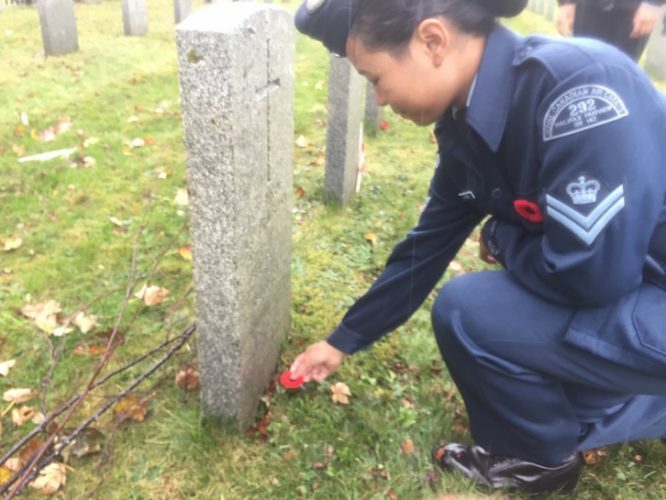 “Sometimes these soldiers didn’t have someone, so just you being there and putting a poppy on their headstone just makes you feel good and you show respect to them,” she said. For Gorsebrook, their ceremony opened with a few speeches, poems recited by students and finished off with the playing of O Canada and God Save the Queen. 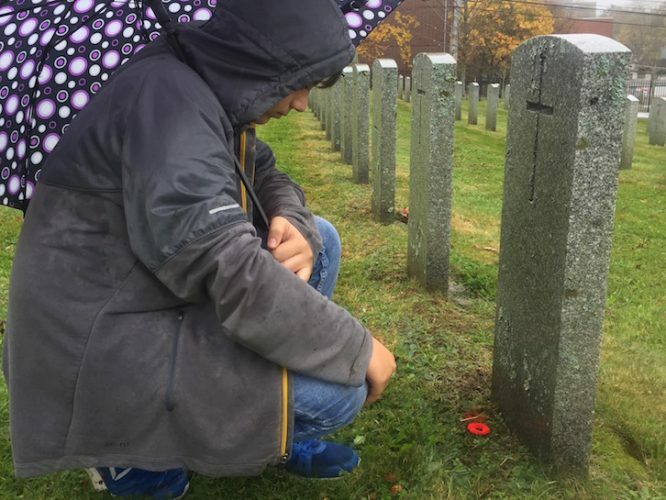 Afterwards students scattered to find a headstone and lay their poppy in front of it. Grade 8 student Nabil Abidaoud said this ceremony means a lot to him because these fallen soldiers fought for his rights and freedoms. 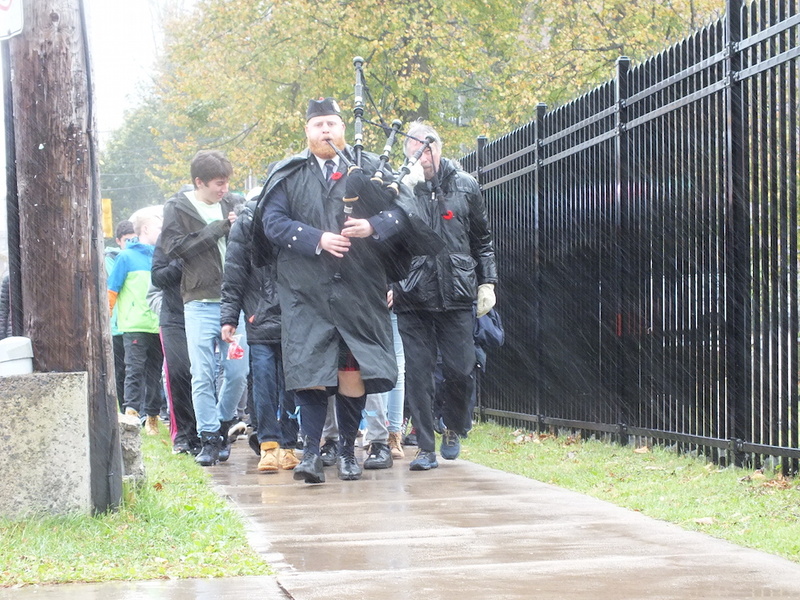 Nina Thaksee, a Grade 9 student and a Royal Canadian Air cadet, said the ceremony allows students to go back in time and learn about fallen soldiers. “Since we don’t really get a lot of opportunities to learn about veterans and their lives, except maybe one unit in social studies, I think that it really lets us know what it was like for them, and kind of gets us to look more into it,” she said.